In the constantly evolving hedge fund marketplace, nothing is morecentral--but in many ways, more amorphous and elusive--than risk.Yet there remains no standard for analyzing and measuring riskwithin this highly secretive, largely unregulated field, leavingthe thousands of hedge funds--and the tens of thousands of hedgefund investors--in dangerously dim light. The industry has notsolved the "transparency" challenge--communicating risk toinvestors without disclosing proprietary information. Hedge Fund Risk Fundamentals is the first book to bringthese issues to the forefront. With clarity, concision, and minimalmath, Richard Horwitz lays out the key components and thecutting-edge processes in the field of hedge fund risk managementtoday. Against that backdrop, he presents a groundbreaking utilitydestined to set the standard for transparency and risk managementwithin the hedge fund universe. You’ll learn why, when it comes to risk management, 1 + 1= 1.41. 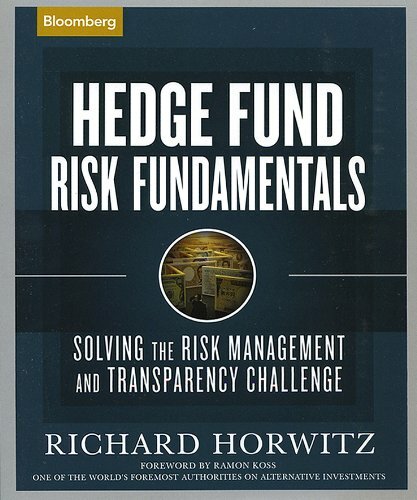 For all of those perplexed by the difficulties of assessingrisk in hedge fund investing, Horwitz’s concepts make for aninvaluable road map and a demystifying resource that hedge fundsand investors at all levels will find indispensable.